The system analysis code ATHLET-MF, which is developed by the Forschungszentrum Karlsruhe based on the ATHLET code of the Gesellschaft für Reaktorsicherheit (GRS), is applicable to multi-fluids nuclear systems. The ATHLET-MF has been applied to the cooling systems of various spallation targets, such as the target of the European experimental ADS (XADS). 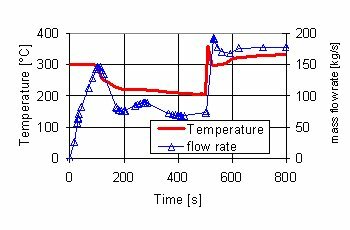 Figure 1 shows the transient behavior of LBE mass flow rate and temperature under start-up conditions.